In the lead-up to the Under-18 Championships and Kevin Coombs Cup held in Townsville from April 13-20, we preview the teams from all eight state and territories beginning with Tasmania. Taran Armstrong, Sejr Deans, Thomas Foster, Marshall Madden-Evans, Jai Lette, Jackson Lowe, Jordan Mayes, Angus Kitson, Reyne Smith, Fletcher Wescombe. 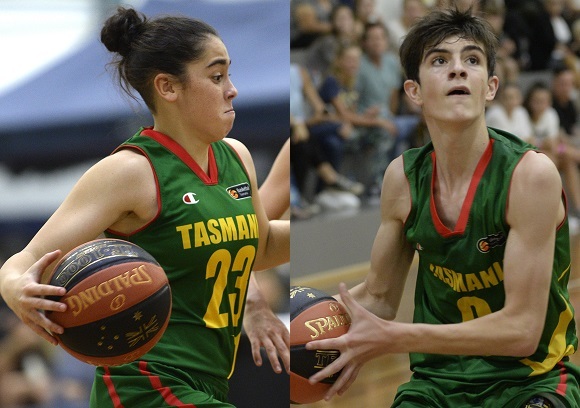 With a strong guard combination and a plethora of ball-carriers, Tasmania will be relying on their back court to lead them to success at this year’s Under-18 Championships. 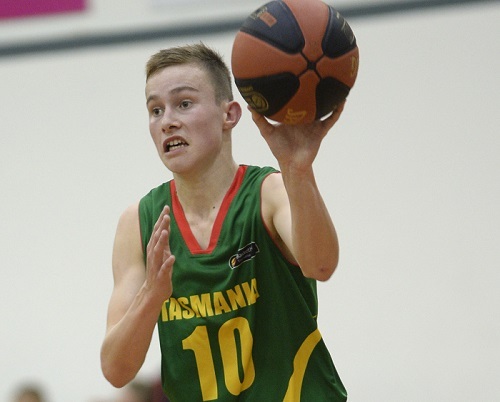 Taran Armstrong was the tournament’s leading scorer last year as a bottom-ager with 23.3 points per game to go with 2.3 assists and 2.9 steals and now a member of the BA Centre of Excellence program, he is sure to be the focal point of Tasmania’s offence again this year. Reyne Smith played alongside Armstrong in 2018 and recorded 11.4 points per game on 38% shooting while Jackson Lowe, who has been starring in the Launceston Basketball Association, completes the trio of returning players. At the other end of the floor, Basketball Tasmania Development Manager Mark Radford believes the men will be able to combat their competition defensively. “As usual, size isn’t a particular strength of ours but I feel this group is a really solid defensive unit who play well together and can counter some of those challenges,” he said. 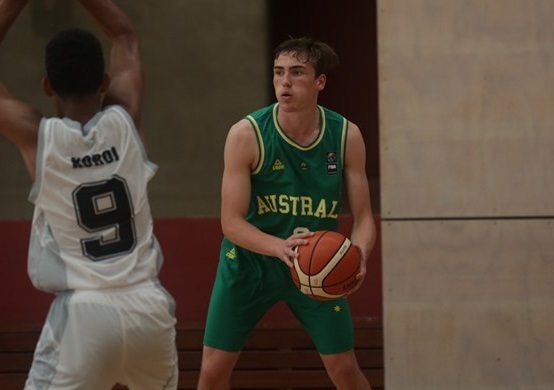 Sejr Deans has been a consistent member of Tasmanian state teams through the junior pathway and he is back again this year after lighting up the Under-16’s in 2018 with 16.2 points, 4.3 rebounds and 2.1 steals per contest. He capped a big year with a starring role at the Under-15 Oceania Championships as well, pacing Australia for scoring and leading them to a thrilling comeback win over New Zealand in the gold medal game. Trailing by as much as 17 points deep in the third quarter, Deans gave Australia life with a three-pointer and followed up with two quick baskets before an offensive rebound and subsequent free-throws proved to be the game-winning play as he finished with 15 points. Aishah Anis, Makala Bingley, Zoe Crawford, Sharn Hayward, Ashanti Jackson, Jessica Johnston, Pia Rhodes, Micah Simpson, Emerson Wells, Lauren Wise. 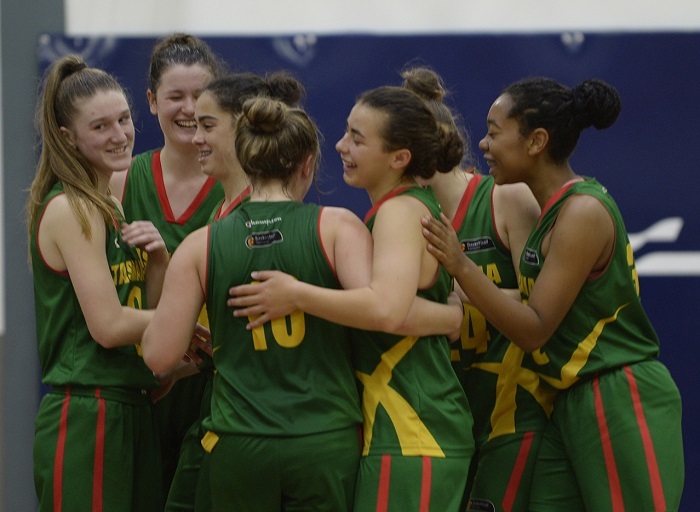 The Tasmania women have some continuity from last year with five returning players from the 2018 Under-18 Championships. Included in that list is a trio of impressive guards in Sharn Hayward, Aishah Anis and Micah Simpson who will all cause issues for opposition teams in transition and from beyond the perimeter. Hayward was lights out at the offensive end last year, averaging 12.4 points (13th overall) and hitting a total of 22 three’s (second overall) while Anis and Simpson both averaged over eight points per contest. “This team have played together through a lot of tournaments with very little player turnover so team cohesion and camaraderie is strong,” said Radford. Providing a target in the paint, Zoe Crawford will have a big role to play this year after she dominated at the 2018 Under-16’s with 14.4 points (fifth overall), 9.3 rebounds (fourth), 2.9 assists (fifth) and 3.6 steals (third) per game while shooting 4% from the field and 75% from the free-throw line. That ability to impact all areas of the floor will give Tasmania confidence but it will be interesting to see how her game translates into Under-18’s as a bottom-ager. “Getting to the Quarter-Finals is a realistic goal for both our men and women but they know they need to bring their best from Game 1,” said Radford.